Regional geoscientists and experts from the mineral resource sector are working on strategies on how to mitigate the unrelenting and imminent threats of climate change from the geoscience perspective. Minister Mineral Resources Faiyaz Koya, while opening the annual Science Technology and Resources (STAR) conference in Suva, spoke to the delegates at the conference on the task ahead of them. With the theme “Geoscience Development in the Pacific Islands- Planning for 2030”, the conference will provide an opportunity for delegates to present tangible development agenda in areas of prime importance to the Pacific. The Minister noted that the STAR Conference is about how we here in the Pacific manoeuvre ourselves to prepare and mitigate for the damage that we have imposed on our oceans and the imminent threats of climate change here in the region from the Geoscience perspective. 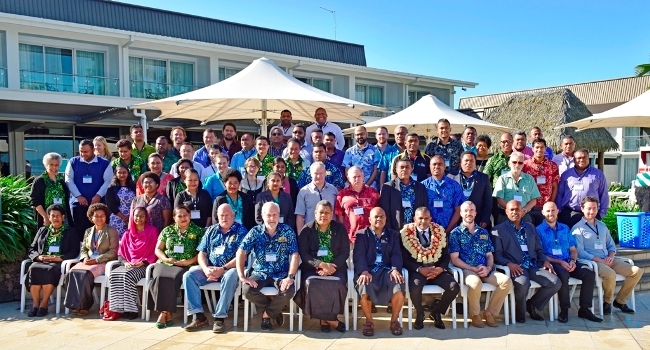 The three-day conference will focus on key areas such as ocean geoscience, Science of Natural Hazard and Risks to Pacific Communities including land use, energy and infrastructure development on Pacific Islands.